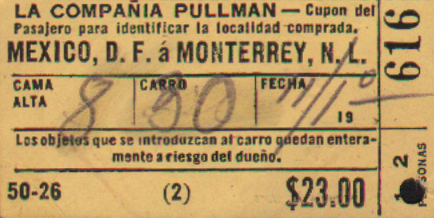 Description LA Compania Pullman (The Pullman Company) 1946 Form (2) Upper Berth Passengers Check for Upper 8 in Car 30 between Mexico, D.F. a Monterrey, N.L. 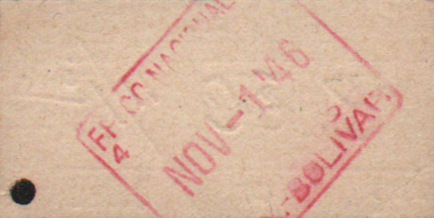 Pullman Operations in Mexico.